Having red hair makes me look Scottish. I walk into a pub: “he’s a local lad,” they’re thinking. And then I open my mouth and I’m definitely an Aussie. 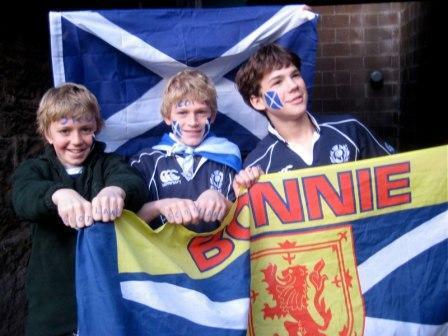 Our whole school went to Murrayfield (a mammoth task) to cheer on the Scottish underdogs against the world champions, South Africa. 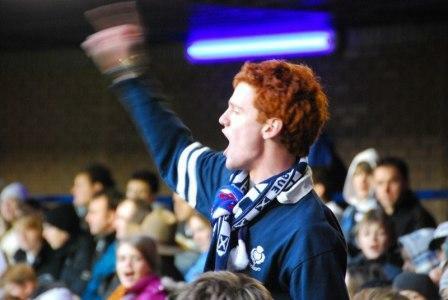 Dressed up in my Scottish attire, I took it upon myself to lead the songs, the chants and the Mexican wave. 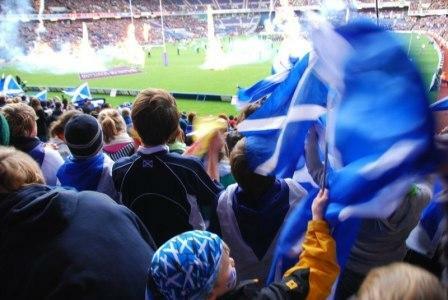 With an army of enthusiastic school children at my disposal, it wasn’t long before I had nearly the whole section following my lead in “O Flower of Scotland”, “The Bonnie, Bonnie Banks of Loch Lomond”, “SCOTLAND!” and of course, the Mexican Wave. We kept it up for the whole match, much to the delight of the kids, but much to the annoyance of practically everyone else! 8 users commented in " Scottish ’till I Die! " Ha Ha yeah they probably do think your scottish! Scotland went down 10 to 14. They should’ve won but missed FOUR penalties!